Advanced formulation and an exciting new look – a killer combo! 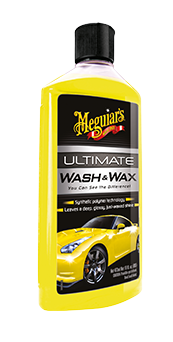 Their expertise in Engineered Synthetic Polymers (ESP) has provided them with the technology to create a completely synthetic car wash concentrate that loosens and emulsifies even the toughest dirt and road grime while synthetic lubricating oils glide them off of the surface without marring the finish. Engineered water softeners help reduce deposits in hard water, leaving behind a spot-free finish. It comes in a 532ml bottle. 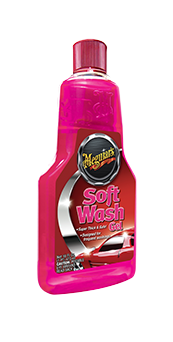 Years ago they invented this wash gel that is super thick, super rich and super concentrated. 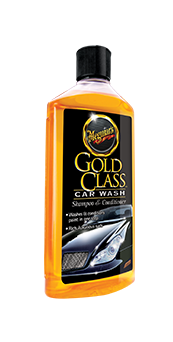 It is unlike any other car wash on the market. It contains optical brighteners to enhance the brilliance of the paint finish…and it won’t strip off wax protection. 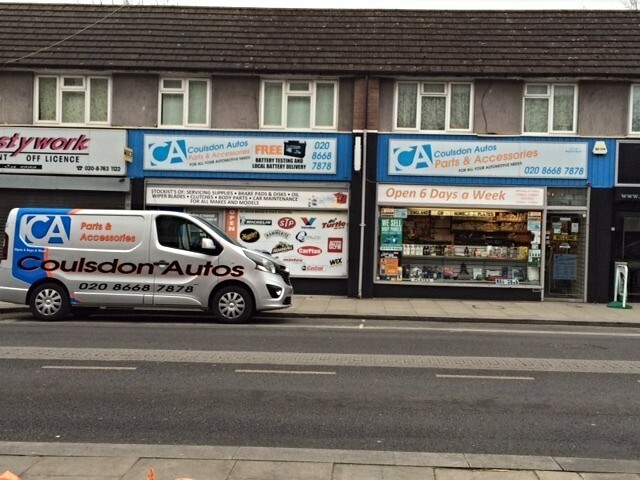 It’s completely safe on all surfaces, including the very latest paint finishes including car wrapping. Luxurious lather and rich conditioners nourish your finish, and the brilliantly slick surface chases water off your paint, reducing drying time and leaving a shimmering gloss. ‘Molten magic’ is just one of the terms their customers have used to describe this remarkable product. 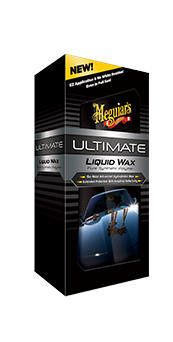 Ultimate Wash & Wax is the perfect way to clean and shine your car’s finish in-between regular waxing, boosting your protection, glossiness and shine! 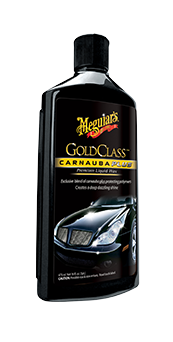 Meguiar’s premium carnauba wax and synthetic polymers provide protection and shine while you wash. It comes in a 473ml or 1.4 litre bottle. 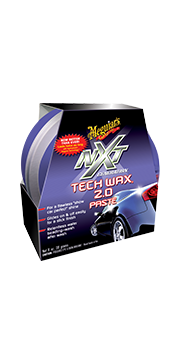 Enhanced with Hydrophobic Polymer Technology, NXT Generation Tech Wax 2.0 provides relentless water beading and protection against oxidation, corrosion, UV rays and surface degradation. “Hydrophobic” means water-fearing, and the synthetic polymers in Tech Wax 2.0 increase surface tension, creating a barrier that makes water bead up and glide right off, wash after wash. The result is a dramatically slick finish, fewer and taller water beads when the vehicle gets wet and increased protection from dust, dirt and other contaminants. 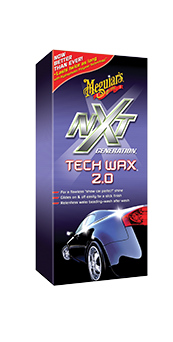 NXT Generation® Tech Wax® 2.0 features a new, technologically advanced formula that glides on and wipes off effortlessly, producing unbelievably deep, vibrant colour and a stunning wet-look shine. It comes in 473ml bottle or a 311g paste. 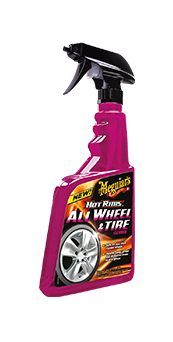 With Meguiar’s Hot Rims All Wheel & Tyre Cleaner, you’ll actually see the grime lift off your wheels and tyres! Our Xtreme Cling foam is designed to cling vigorously to vertical surfaces and dissolves all contaminants from your wheels leaving a brilliant shine! 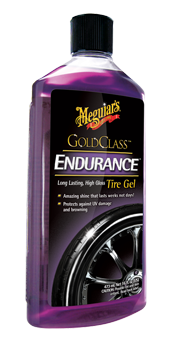 Safe for all clear-coated wheels. ​It comes in a 473ml bottle. 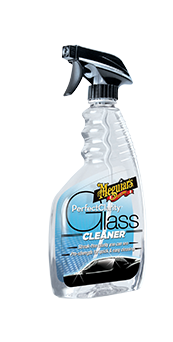 Meguiar's Perfect Clarity Glass Cleaner comes from years of working with professional detailers to find the quickest most effective way to clean glass and mirrors. 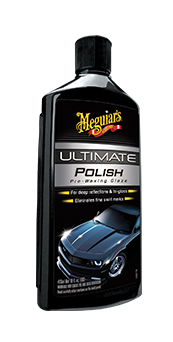 This unique formula spreads and wipes off quickly, with superior cleaning ability to tackle even the dirtiest glass. 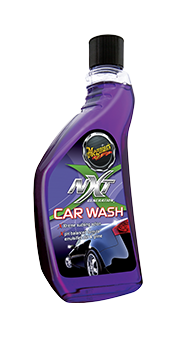 Easily removes vinyl fog residue, road grime, bird droppings and bug splatter. Also safe for use on all tinted windows.